Composed by Scott Joplin (1868-1917). Arranged by Paul Barker. Jazz, Swing, Big Band, Repertoire. Score, Set of Parts. 42 pages. Published by Paul Barker (S0.547442). 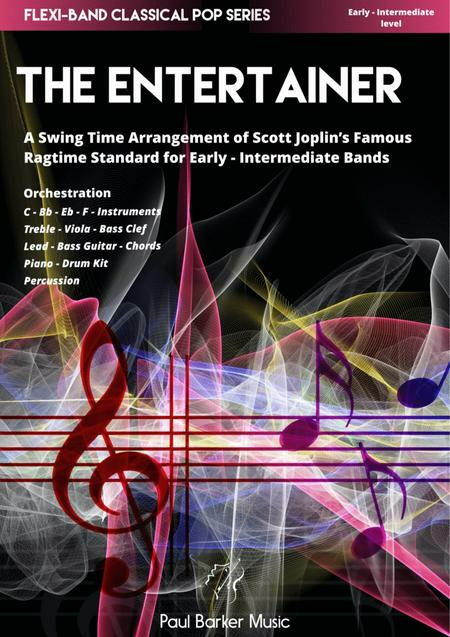 Scott Joplin’s ‘The Entertainer’ is a newarrangement in a swing time style for Flexi-Bands, Orchestras and Ensembles ofall sizes. Strong melodic lines using Joplin’s famous Ragtime themes togetherwith modern harmony supported by a robust rhythm section make this suitable forany combination of players. 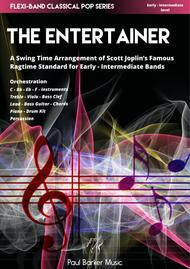 A fantastic way to introduce your band and audienceto one of the most famous Ragtime standards composed for Piano. Also ideal forensemble examination purposes in schools and colleges!